I'm A. I live in the cottage with my husband M and an old rescue dog. We have a baby boy on the way. I'm a software engineer by trade. My favorite color is blue, and I think it should be your favorite color too. Like many young families in the San Francisco Bay Area, we had to choose: continue renting a small apartment, buy a tiny fixer-upper, or leave. We chose to stay and buy. California real estate is cutthroat. Competition is fierce, prices are high, and contracts lack contingencies. 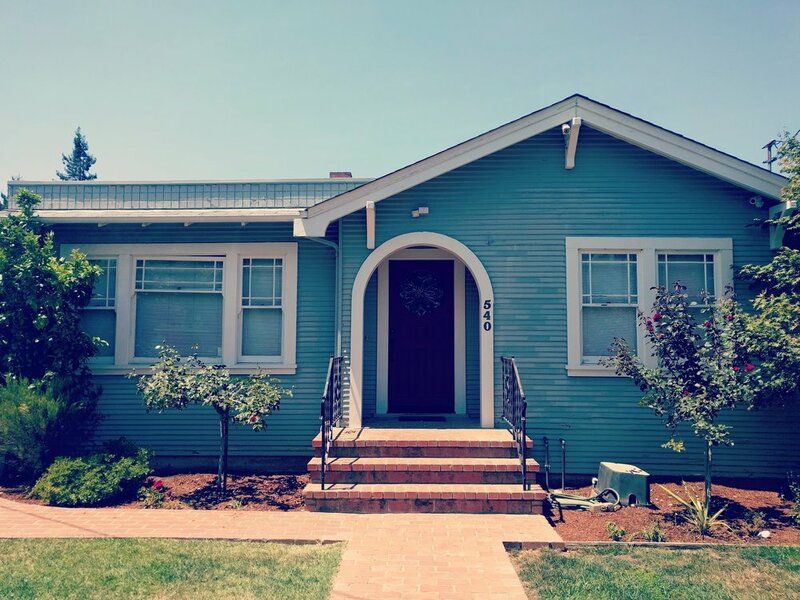 We spent six intense months searching for a home in a walkable neighborhood. We viewed this as an opportunity to bring beauty and our personal style to an old house, while retaining the old-home feeling that we like so much.